and so is the June Style Trend Link Up Challenge! This month we're all about making a statement...so we want you to show us how you style your favorite statement necklace! Whether your feeling feminine with multiple strands of pearls or exotic with a multi-color tribal collar, we want to see your biggest & boldest statement piece. Check out some inspiration/all of the details below! 1. 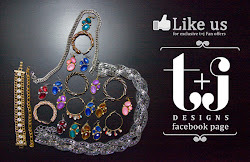 You have a week from today (June 3rd-June 10th) to take photos of your best Statement Necklace Style! 2. You will have from Monday June 10th to Monday June 17th to link up here on the blog!